How cute are these patriotic topiaries from Simply Designing!Ashley made these cute 4th of July topiaries a few months ago and has been dying to share them with us. She says she couldn't wait until July, so she's calling them America Star Topiaries! It's always a good thing to have some red, white, and blue around your house year round!! 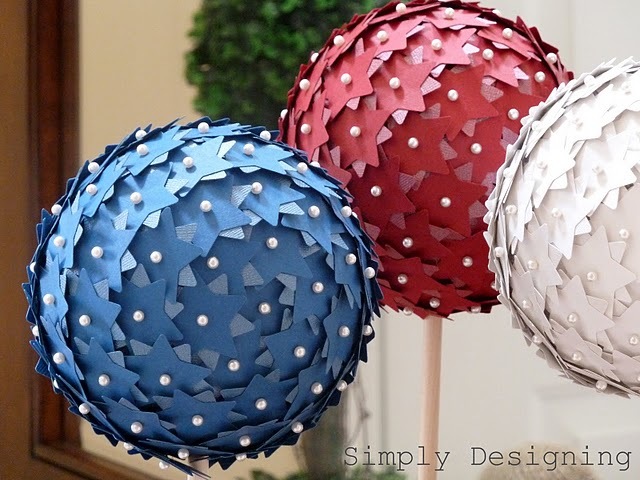 She used three 5" styrofoam balls, TONS of punched out stars, and lots of pearl straight pins. 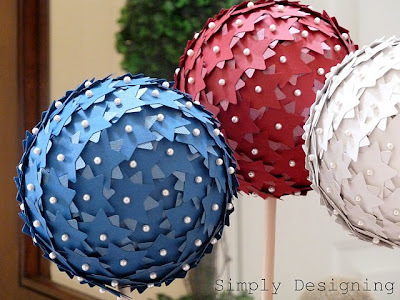 She painted the styrofoam balls just to make sure that there wouldn't be any bare spots. She found some scrapbook paper that was double sided. One side was matte and one side was shimmery, so it worked out perfect to use both sides! 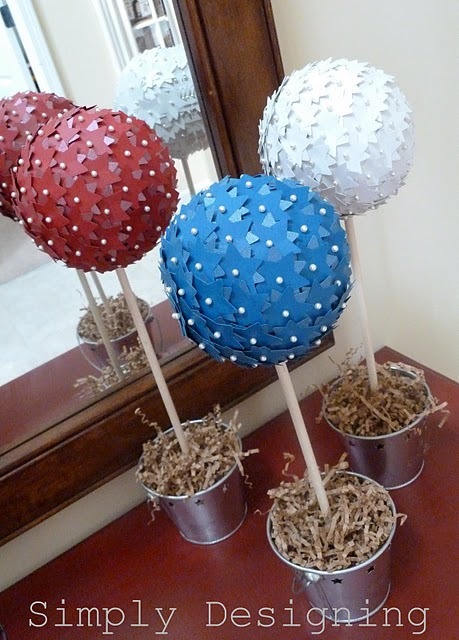 I will definitely be making some of these this summer! You could even get your kids involved in this project! One could punch the stars and one could assemble. I LOVE this!! Thank you so much for the AMAZING feature!!! I've joined you linky list...#41. I'm busy making Romantico Vintage Victorian Tags this summer....and my daughter loves to create her own sets too! Thanks for sharing. Love them!